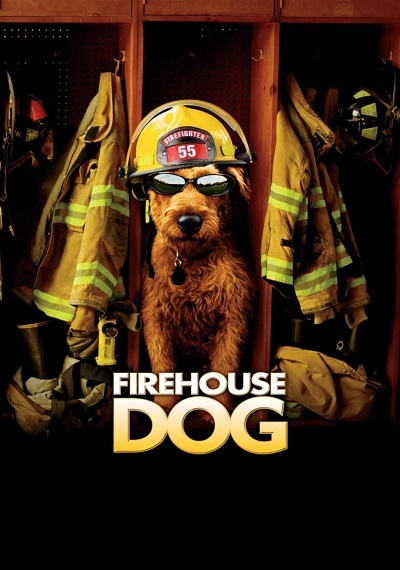 Firehouse Dog :: Movie Information :: RabbitTV GO! Rex, Hollywood's top-grossing canine, is known for his extreme athletic abilities and diva-like demeanor. His perks package, rivaling that of any A-list celebrity, includes Kobe beef, a poodle harem, and a diamond collar. Rex's luck – and Hollywood high life – runs out while shooting a commercial; an aerial stunt goes awry, leading Rex's handlers to presume he's dead. But Rex is merely lost – alone, filthy and unrecognizable in an unfamiliar city. Chased by animal control, he takes refuge in grubby abandoned lofts, a far cry from his former luxurious lifestyle. Shane Fahey (Josh Hutcherson), a bright but rebellious 12-year-old, has exasperated his father Connor (Bruce Greenwood) for the umpteenth time. A single parent and captain of the rundown inner city fire station known as Dogpatch, Connor is charged with inspiring the sad-sack company: veteran and firehouse cook Joe Musto (Bill Nunn), the super-fit and strong-willed mother hen Pepita "Pep" Clemente (Mayte Garcia), the exhausted family-man Lionel Bradford (Scotch Ellis Loring), and the calendar-worthy rookie Terence Kahn (Teddy Sears). The team is still coping with the recent loss of their former captain, Connor's brother. Shane is also troubled by his uncle's death, and he's been acting out by ditching school. As Connor reprimands Shane for his unruly behavior, Dogpatch gets a call to put out a blaze tearing through the lofts where Rex has been hiding. Trapped on the loft's burning roof, Rex makes a death-defying leap and is rescued by Connor. Once they are safe on the ground, Shane is tasked with finding the mutt's owner. The pompous, fastidious Rex and the troubled, messy Shane immediately clash. Unaware of Rex's true identity, Shane becomes his reluctant new master. But his attitude changes when he discovers Rex's spectacular skills, which the firefighters put to use during rescue calls. Inspired by the dog's talent and courage, Dogpatch makes Rex its mascot. It's just the boost the company needs – and what Shane and Connor need to help bring them together. But Rex's fame has drawn the attention of his Hollywood handlers who want him back – while father and son face a deadly challenge from an unexpected source.